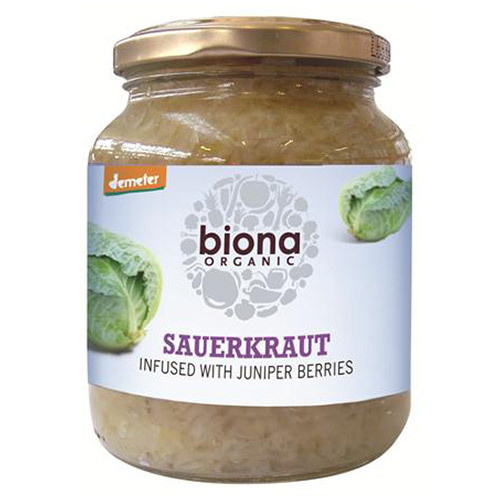 Biona Organic Sauerkraut is a tasty side dish served with salads, grilled vegetables or veggie hot dogs! Infused with juniper berries. This product is pasteurised. White Cabbage**, Sea Salt, Juniper Berries* (1%). 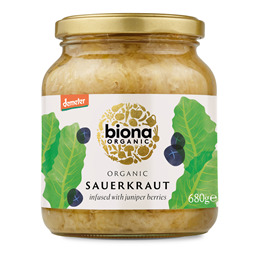 Below are reviews of Biona Organic Sauerkraut - 680g by bodykind customers. If you have tried this product we'd love to hear what you think so please leave a review.